Stefano, like many other anglers, shared his passion for fishing with his father since he was a child. His passion was so strong that he spent much more time fishing on the Panaro river than studying at home! He started his own competition career in the small team of his hometown and participating to local competitions. 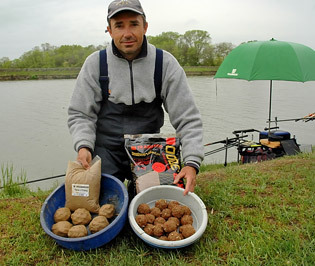 After his move to the Crevalcore team Stefano started to regularly win competitions. In this team he was able to increase his experience and to improve his skills and thanks to his commitment to learn more and more succeeded to get the Italian National Team. Nowadays he is part of the Ravanelli Trabucco team together with many other great champions.